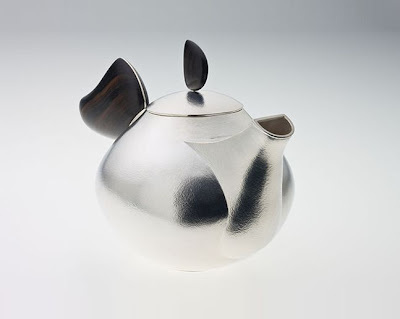 Brisbane based jeweller and object maker Matt Dwyer (FIO) and I have been working together over the last few months on some collaborative pieces for a client of his - a series of little porcelain, ebony and sterling silver cups to go with a very beautiful ebony and sterling silver teapot he made last year (see pic below). I've left the finished porcelain pieces with him in Brisbane to work his magic on them, inlaying the ebony and sterling silver, and can't wait to see the final result. We were hoping to do a few more things together but now that I have headed bush it will have to wait-a-while. As much as its nice to be pulling back a little from work, its so hard walking away from things like this! 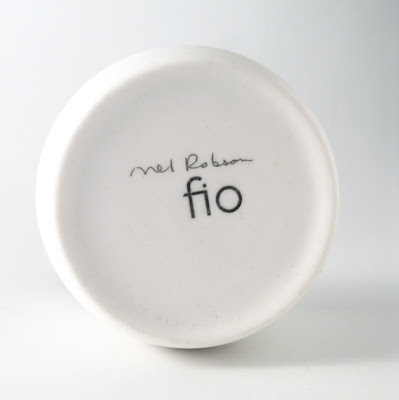 Matt has a beautiful shop/studio/workshop called Fio in at James Street in Brisbane. Drop in if you can, or check out his work here. I'll post images of the final pieces when they are done. ooh, i look forward to seeing the finished pieces. Me too Alex! Hope you and the little one are doing fine!